Store-bought baby food can be good, but nothing beats homemade goodness for your little one. This pro baby beaba babycook food processor ensures that you are feeding your baby healthy and preservative-free baby food. In a delicate color, this baby food processor will fit lovely with your kitchen décor, and also comes with an added bonus, a spatula to easily scoop out the yummy baby food. 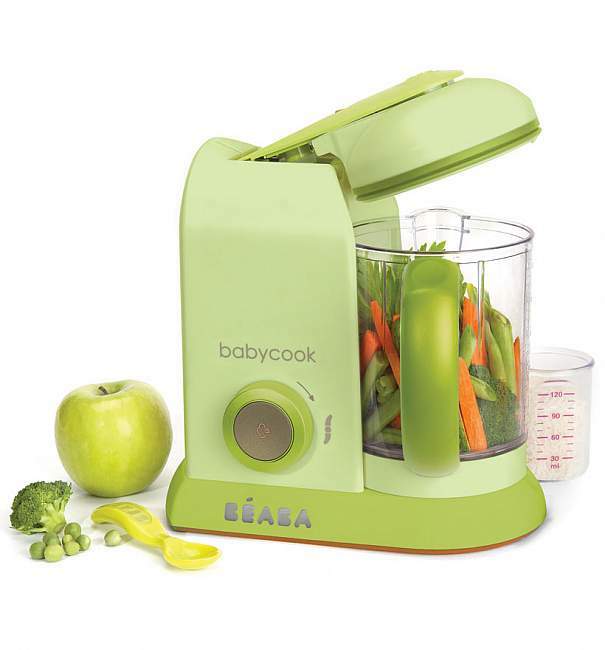 The beaba babycook pro rice cooker is a great accessory to the pro baby food processor.